*This item is shipped free via USPS. 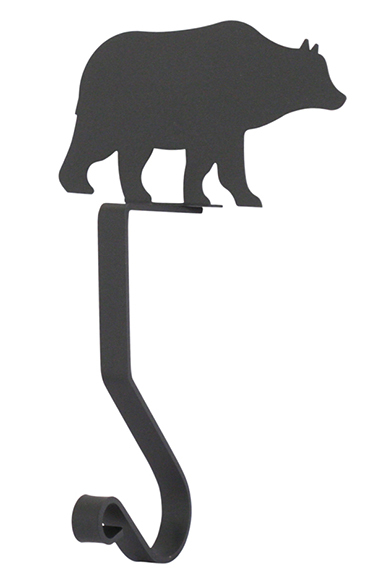 The stocking hanger / mantel hook with a bear silhouette is created of wrought iron and has a satin finish baked-on black matte powder coating. This American made wrought iron stocking hanger / mantel hook is handcrafted in Fabius, New York, by Village Wrought Iron.